Halloween is coming up soon, and I was wondering if your hair will play a role in what costume you choose? I have been wanting to dress up like Slash, one of the greatest guitar players of all time from the uber classic band Guns N’ Roses (love them!!!). It won’t be happening this year due to being ill prepared and not having the time to get the costume together, maybe next year :(. But…..I still wanna know………..
What will you be dressing up as? Is your natural hair gonna play a role in your costume? I’m dressing up as Donna Summer this year. My hair is definitely not long enough to pull it off so I’ll have to find a bigass curly wig. Hair isn’t top priority for a costume for me since I don’t usually go as celebrities (think werewolf/scary), but it helps sometimes. yes, I am going to be a 70′s disco chick. 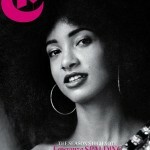 lol Can’t wait to rock my fro! 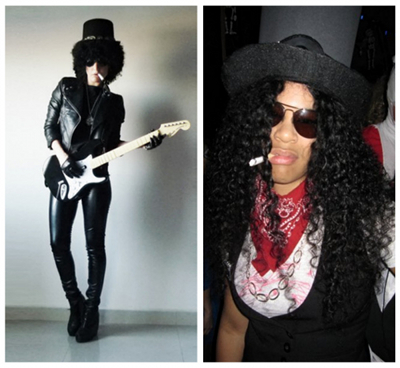 OMG, it is funny you mentioned Slash b/c that is exactly who I am going as this year. My bf plays the electric guitar and he has started teaching me and Slash has become my biggest inspiration. When I told my bf I was going as slash, he laughed. lol. I was inspired by this rihanna picture….. http://i.dailymail.co.uk/i/pix/2010/06/06/article-0-09E8A4D4000005DC-727_224x514.jpg Since I am transitioning right now, I will definitely be wearing a wig.